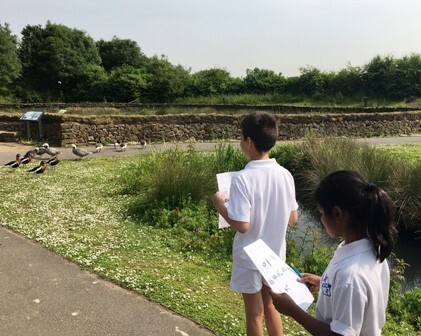 Years 2 & 3 had a fantastic trip to the London Wetlands Centre in Barnes on Tuesday 7th June. We went bird spotting with binoculars to the Hedley Hide and learned about ducks and geese along the way. After a great time in the explore playground and lunch we had our learning sessions. Year 2 went pond dipping and found all sorts of interesting creatures and Year 3 learned about which plants you find in a wetland and how to identify and sort them.It was a very successful day full of learning and fun! We would highly recommend the London Wetlands centre to any parent wanting to fill a day in the holidays.